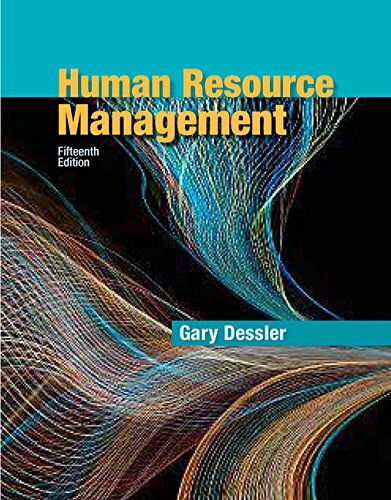 Human Resource Management provides readers with the daily tools and skills they need to function as successful managers–in both human resources and business in general. With a practical approach, the text explores the evolution of the field, highlighting the introduction of revolutionary new technologies and social media platforms such as LinkedIn and cloud computing. The Fifteenth Edition focuses on the positive impacts technology has had on the HR field. The ability to vet potential employees on the Internet shifts more HR responsibilities to managers, leaving HR departments with more time to carry out strategic, long-term endeavors for boosting employee performance and engagement. With a heavy focus on emerging industry trends, the text prepares readers with everything they need to be successful managers and HR personnel in the 21st century. This title is available with MyManagementLab–an online homework, tutorial, and assessment program designed to work with this text to engage students and improve results. Within its structured environment, students practice what they learn, test their understanding, and pursue a personalized study plan that helps them better absorb course material and understand difficult concepts.